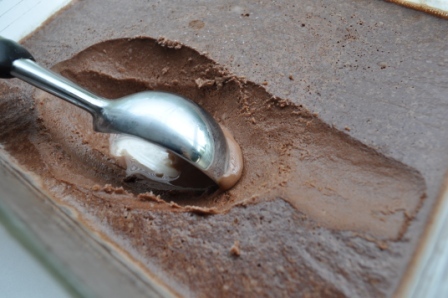 So you don’t have an ice cream maker? No need to fret. 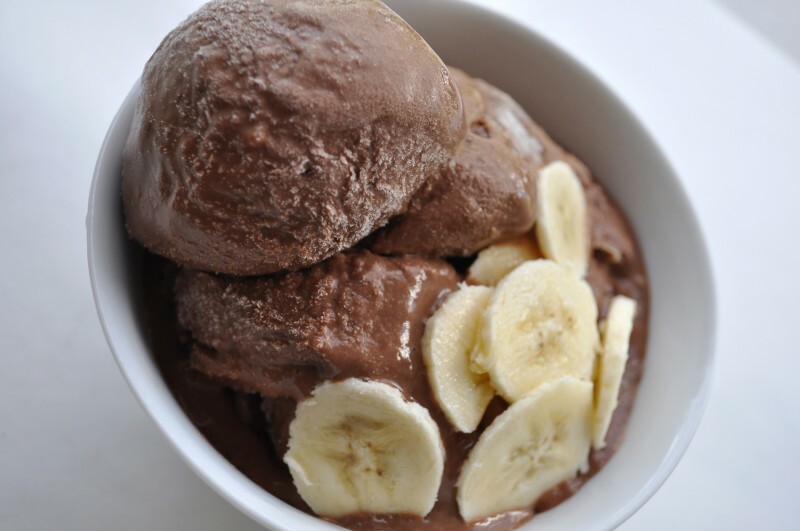 The homemade Chocolate-Banana Ice Cream is just for you. 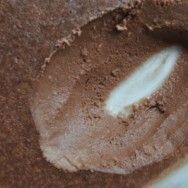 With a generous amount of booze, Chocolate-Banana Ice Cream can be made in a cinch. Creamy and rich, this ice cream is extra special with fresh banana slices. Get your blender out and make this frozen treat today. Peel 3 bananas and cut them into chunks. Set the chunks aside. Combine chocolate and milk in a small heatproof bowl. Set the bowl over a small saucepan of simmering water. Do not allow the water to touch the bowl. 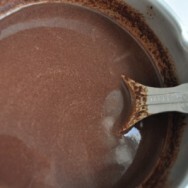 Once the chocolate begins to melt, stir the mixture occasionally until the chocolate is melted and the mixture is smooth. Remove the bowl from the heat. Pour the Irish cream liqueur into a blender (or food processor, if you have one). Add the banana chunks, rum, and melted chocolate mixture over the liqueur. Puree the ingredients until the mixture is smooth. 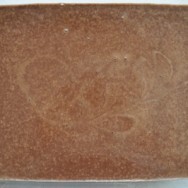 Carefully pour the mixture into a shallow container that has a fitted cover. Seal the container with the cover. Place the container in the freezer for at least 8 hours or until the mixture is solid enough to scoop. 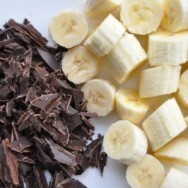 Optional: Prior to scooping the ice cream into bowls, peel 1-2 bananas and cut into thin slices for the topping. Serve and remember this ice cream is not for the kiddies! Notes: In order to prevent the ice cream from freezing too hard, a generous amount of alcohol is required for this recipe. Also for a low-fat ice cream, you can also use 1% or 2% milk instead of whole milk. Came to your website through Bing. You already know I am signing up to your feed.